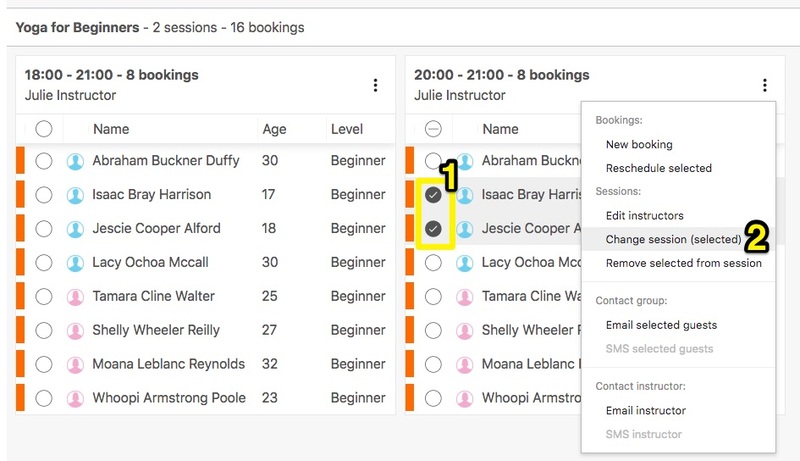 The Session Planner allows you to allocate guests to certain sessions and assign an instructor. 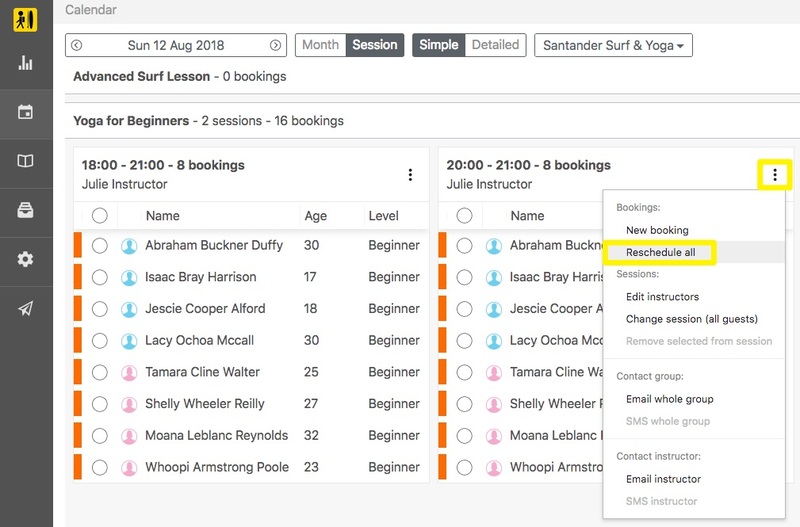 This enables you to easily manage your surf lessons, yoga classes and other activities and events on a certain day. 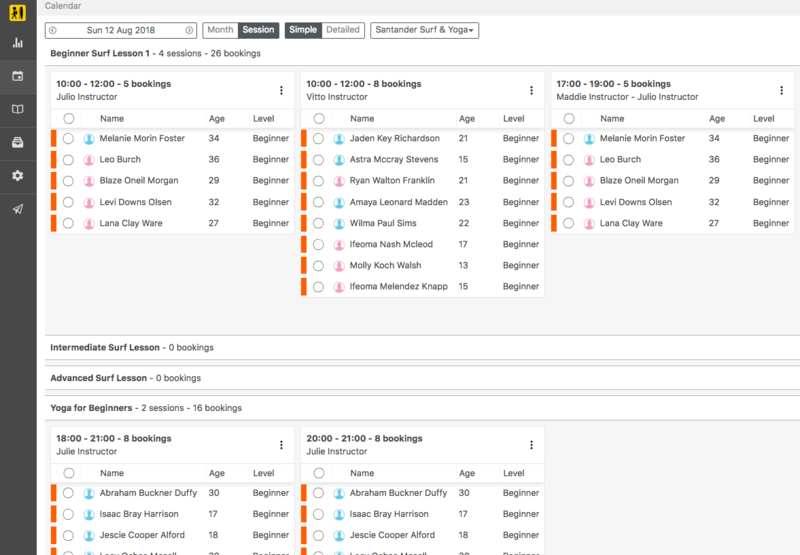 Within the session planner, you can see all bookings related to various activities taking place on a certain date. You can select a date in the upper left corner of the screen. 4. Select all guests you wish to allocate to the same group. 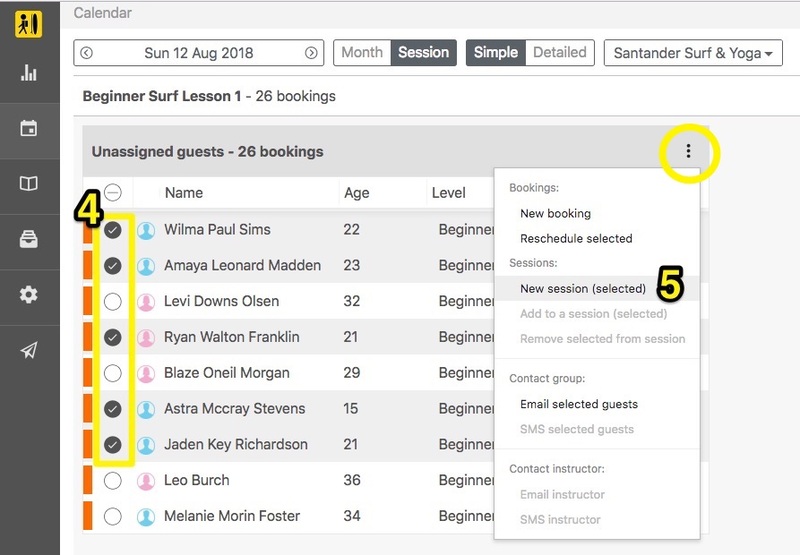 In this example, we allocated all guests that belong to the same age group to the same session. 5. Click on the icon with the three dots in the upper right corner of the box and click on New Session (Selected). 6. Select an instructor you would like to assign to this particular session and click OK.
Not seeing any of your instructors here? This means you haven't created Backoffice users for them yet. You can do so on this page. Don't forget to assign them the role 'Instructor'. 7. Now, assign all your guests of the day to the various sessions and instructors by following the above steps. Once you have assigned all guests and instructors to sessions, your Session Planner will provide you with a detailed overview of all your daily activities, instructors and numbers of participants. How to reallocate guests to a different session? Click on the icon with the three dots on the upper right corner of the screen and select Change session (selected). Lastly, choose the existing session you want those guests to participate in. Want to create a new session for the selected guests? Choose for the option Reschedule selected instead and the system will allow you to choose your desired Start Time and End Time. 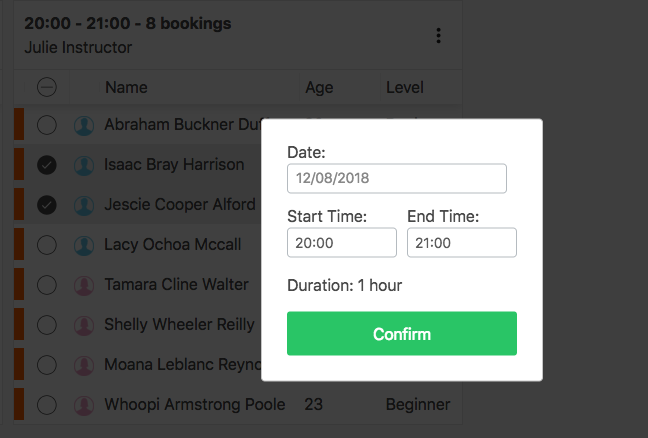 If you want to reschedule a whole session, simply click on the icon with the three dots on the top right corner of the box and select Reschedule All. The system will now allow you to choose your desired Start Time and End Time. 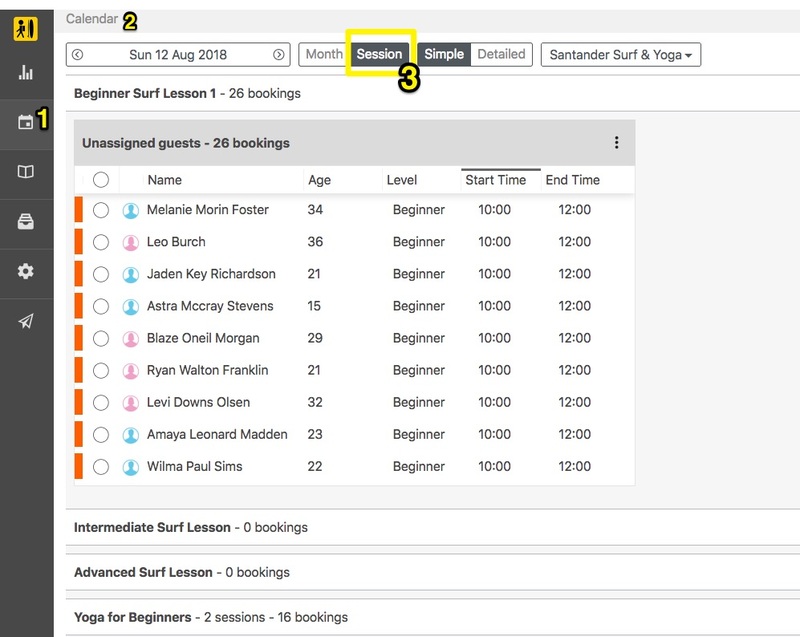 If you need to reschedule a session or wish to communicate any other kind of information with the guests of a certain session, you can do so by clicking on the three dot symbol and selecting Email Whole Group. This facilitates communication with your guests and you can keep them up to date about any changes that might occur. Likewise, you can quickly Email your Instructor about any cancellations and/or other things he or she should keep in mind.